Before Aprilaire had established itself as a worldwide leader in indoor air quality solutions, the company needed a name. Legend has it that the company’s first president was sitting at home with his wife one spring day when she opened up the kitchen window, smiled, and breathed in deeply. “I just love the smell of April air,” she said. Kind of catchy, isn’t it? April Rains, No Allergy Pains? So what is it that makes April air so appealing? You may have heard it said before that the consistent rain showers in April clear out allergens and pollution from the air, leaving behind a clean, refreshed environment. But doesn’t rain equal more plant growth, which in turn creates more pollen and other allergens? According to the Asthma and Allergy Foundation of America (AAFA), pollen counts are higher when conditions are dry. That’s because, without any moisture to weigh them down, pollen grains can blow further in the wind and create higher concentrations. So when it rains or there’s high humidity, pollen grains became too heavy to travel far. But is too much rain a bad thing? 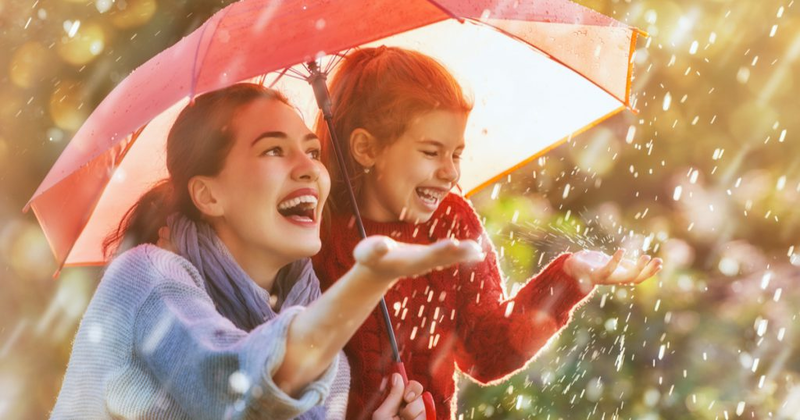 Some rain is good, but heavy rain showers can lead to problems for people who suffer from mold, dust, and grass allergies. Rain causes plant growth (like weeds and grasses), and it can also create damp conditions that lead to mold and mildew. Additionally, during a rainstorm (especially heavy ones), the force of the falling rain can splinter clumps of pollen into many, many smaller particles that can spread more rapidly. For this reason, it’s a good idea to stay out of rainstorms if you’re sensitive to pollen. To wrap up, is rain good for allergies? Moderate showers can knock down pollen levels temporarily, but heavy showers can actually increase several types of allergens. So keep an eye on the weather this spring, and after light showers hit your area, take a step outside and breathe in that fresh April air. Previous Previous post: Local Honey for Allergies — Does It Really Work?